Two fans who threw objects at Seahawks player Quinton Jefferson have been banned indefinitely from attending Jacksonville Jaguars games, it was reported Wednesday. Two fans positively identified as being among those throwing debris at Seattle Seahawk Quinton Jefferson last December have been indefinitely banned from attending Jacksonville Jaguars games, The Florida Times-Union reported Wednesday. The paper reported that it was able to receive a final report on the incident conducted by the team. The paper reported that neither of the two fans is a season ticket holder. 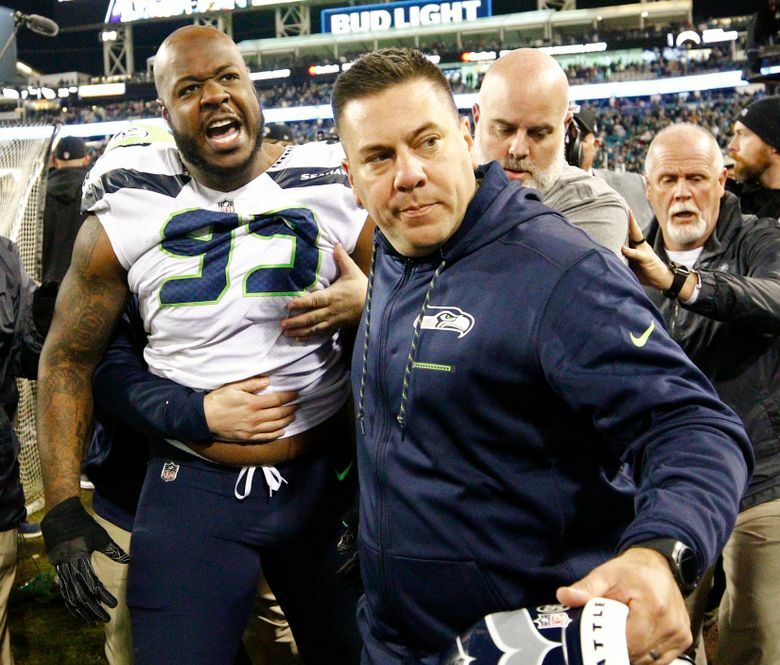 Jefferson, a second-year defensive lineman for the Seahawks, had been ejected from the game for fighting in the final minute of an eventual 30-24 loss to Jacksonville and was on his way to the Seattle locker room when the fans thew objects his way, including a bottle and a cup of liquid and ice. Jefferson also said the fans made lewd comments about his mother. Jefferson then approached the stands and tried to climb up the railing to get at the fans before being stopped by security and led away. While Jefferson was handed a standard $9,115 fine by the NFL for the unnecessary roughness penalty he received that led to his ejection, he was not fined or disciplined in any manner for approaching the stands.